Welcome to this month’s installment of Good God, Where Has The Time Gone?! Yet again, it's been far too long since my last post, and with continued chaos in the forecast, I'm hoping to make amends by including a giveaway for a copy of my novel Thank You For Flying Air Zoe. It’ll be fun. I expect many laughs at my expense as the contest plays out. As many of you know, my wife and I are the proud parents of a musical prodigy. Or at the very least, a cute little peanut who can canonically babble with perfect pitch while whaling on an empty Pop-Tarts box with impossible rhythm. Y’know, for a seven month old. Music was in our boy’s blood from the very beginning. When labor reached the twenty hour mark, we theorized that the peanut’s reluctance to come out was because of the cold and hushed hospital environment. Basically, we needed to turn the room into a concert hall, so we created an epic three-hour Labor Mix that spanned the alphabet from Armatrading to Yaz. It was for sure a long strange trip -- one in which we lit out from Reno trailed by twenty hounds, went to see the doctor of philosophy, and blew out our flip-flops on pop tops. Labor may have been a bit too laborious, but it was at least musical. And as we waited for the child within our hearts to rise above, we faded into Mazzy Star, and had our hearts eclipsed by Bonnie Tyler on what was for sure a marvelous night for a Moondance. Oh, and for any future parents out there, Peaceful Easy Feeling by The Eagles is really a horrible selection for a child labor playlist. Just a little intel there for you. Anyway, to make this extra long story short, the Labor Mix worked. So having given our son such a musical debut, we knew that we needed to maintain this momentum and properly nurture his innate talents. We needed to assemble another playlist of amazing songs. We needed to locate a collection of lullabies that would lull the boy into a shiny happy dreamland when necessary. Rookie parents probably know one or two lullabies tops, and for me, the most obvious traditional choice was Rock-a-Bye Baby. However, it takes all of four lines to realize that this lullaby classic was, in terms of its message, a complete train wreck of a tune. Yeah no. My kid is not gonna be falling out of any tree, real or imaginary, until he’s old enough to build his own treehouse with construction grade cedar, and sign a waiver stating that his parents are not responsible for any mayhem that may occur when at ten feet or more off the ground. So we turned to the next mainstream lullaby – Hush, Little Baby, which at its core, is pretty much a song about bribery. This one was also dismissed from the playlist. Bob Marley’s Three Little Birds is the greatest song ever recorded, and without it, our family would have been reduced to little blubbering puddles by now. Smiled with the rising sun. Saying, "This is my message to you." Is gonna be all right." Bob Marley was said to have fathered eleven children. I bet they all slept great. Here’s the thing. In the Summer of ’85, I couldn’t get enough of the hit song St. Elmo’s Fire (Man in Motion) by John Parr. Those were the days when if you didn’t have a song on cassette or LP, you would glue yourself to a favorite radio station, and like a cat on a rodent, slam the record button on your boombox when the song you were trying to capture came onto the air. True story – I think I spent two or three years trying to record Pilot of the Airwaves by Charlie Dore this way. With that song, I was more like Wile E. trying to catch The Road Runner. Luckily, St. Elmo’s Fire was an easy prey song, and I nabbed it quickly. However, after playing the song probably a dozen times a day for the span of the entire summer, it got kind of old. Which brings me to a hard confession. 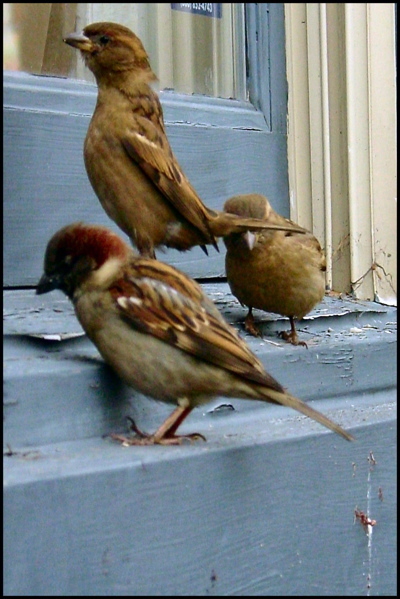 I love, love, love Three Little Birds. But it’s getting kind of old. So much so that I’ve taken to rewriting the lyrics to keep me on my toes. Dow Jones is down again. I bet they’d taste good with dijon glaze. Something something, the next word is Cleveland. If my left arm had not lost all feelin’. As a father I just might be failing. So yeah, I’m sort of in the market for a new lullaby. And this is where the giveaway comes in -- I would love for you writers, readers, and music lovers to help me find one. Here are the loose rules for the giveaway. In the comments section below, please give me the title of a song you’d like me to try turning into a lullaby. It can be any song at all, but please know that while I will make every effort to do your selection justice, if I don’t really know or cannot easily learn the words to the song, I will probably improvise and/or butcher it à la Wreck of the Edmond Fitzgerald. And if you suggest It’s the End of the World as We Know It (And I Feel Fine) by R.E.M., you will be disqualified on the spot. As the suggestions come in, I will start giving each one a shot at becoming our household's 2012 Lullaby Champion. This title will be awarded to the lullaby that gets our son down faster than all the others. And yes, I'll be using a stopwatch. Granted, there are variables about this little giveaway that are far beyond my control -- most notably our boy's fatigue level. And for the sake of my already questionable sanity, if I'm ten minutes into the lullaby and the peanut isn't showing any signs of nodding off, I will probably pull the plug on the song. It's rough enough that he has to hear me try songs beyond my limited vocal reach, but doing so for any excess time will probably end nap time before it even begins. So there are the rules -- I do look forward to hearing what all y'all come up with, be it from the swingin' 70s, the awesome 80s, or any other era. Also, please leave your email contact info with your post so I can contact you if you're the one who comes up with Version 2.0 of the Golden Lullaby. I will close the door to entries at this time next Sunday, and I'll try to post the times of each lullaby here in the comments section as the giveaway contest unfolds. Oh, and if you're looking to send our son a gift, he would love THIS. Really, he would. Swear it's not for his Dad. I'm not sure what the tune is, but for the first 4 months with our first child (who we called 'Sleep Deprivation Study 1'), the lullaby of choice was a running vacuum cleaner. Seriously. I came home twice with both Mom and SDS1 blissfully slumbering away to the drone of the hoover and the aroma of rubber as the belt on the machine heated up. But at least it sounded better than Dubstep. SClark -- I should send you a complimentary Kindle copy of the novel just for a.) the outside-the-box thinking, and b.) the howl of a laugh. That said, our vacuum has an attitude. I'd worry about it sucking up my the few thin threads of sanity I have left. But at least I wouldn't have to sing any Dubstep. i would sing "three little birds" to my daughter a lot in the first few months. i also sang "defying gravity" from "wicked" a lot. i usually do broadway and disney songs. however, i think you should try "carry on wayward son." it's about a son, right? lol! when my first son was born, my mom gave me a cd she got that was a mix of some lullabies by pop singers. it was really beautiful. it had a lovely rendition of "rainbow connection" done by sarah mclachlan and "house at pooh corner" by kenny loggins. also "baby mine" by bette midler (from the "beaches" soundtrack). lots of celine dion too. Okay, so let the games begin! "Carry On Wayward Son" is slated for this morning in the 9-10AM nap slot. I've brushed up on the lyrics and am ready to go! Great post! "Somebody" by Depeche Mode? With a 3 1/2 year old and a 4 month old, I'm still trying to figure out the sleep thing myself! Thanks, Wendy! Any songs that are working like a musical charm on your 4 m.o.? By the way, "Somebody" is a GREAT choice melody wise -- and a total flashback for me! Planning on using it for tomorrow morning's nap -- thanks! So far the baby is good at getting to sleep -- STAYING asleep is the problem. I always sang the Mamas and the Papas' Dream A Little Dream to my kids when I was rocking them to sleep, or sometimes Don't Dream It's Over by Crowded House. In retrospect I'm starting to see a pattern... My husband favored a song his mom sang to him: "I've got sixpence, jolly jolly sixpence." it went on and on forever. Hey, thanks for stopping by & entering! Yeah, there's a pattern... but it's probably a smart pattern to follow. I think that based on lyrical knowledge, I'll use your Crowded House suggestion. Pretty sure one or two listens will get me back to knowing the song by heart. Maybe give it a shot on Thursday? Uh oh. It had to happen. Someone was bound to give me a song by a singer whose vocal talents were WAY to tough to match! :) Nevertheless, I can TRY Luther on Friday -- I do hope my son is forgiving when I have to bail on the big notes! Thank you for the suggestion! Hi Tiffany... I wish I had better news to report, but sadly (if not expectedly), Luther and I were not such a great fit! Let's just say I should never be allowed to sing a Luther Vandross song again... Somewhere early on during "Here an Now," I bungled the words, somehow morphed it into a mash-up with "Just You and I" by Eddie Rabbit & Crystal Gale, and my poor son hollered at me for like 15 minutes." I would like to officially enter Frisco Jones... I mean, Jack Wagner's songs, "Lady of my Heart" as well as "All I Need." If I could find the sheet music and limber up the flanges, I would provide a infomercial-esque piano number for you that would rival anything Liberace or Yanni ever tried to hock. When Gracie was little, she was out like a light every time we played Kenny Loggin's CD, "Return to Pooh Corner." It is a sweet CD, but I kept waiting for him to bust out "Danger Zone." I should never have issued you what shall heretofore be known as "The Frisco Challenge!" :) But I will nonetheless honor your request & warm up my vocal chords for 'All I Need." Thanks, Jen! These are both tremendous times (either that, or I'm an amazing singer/rocker) -- thank you! Tomorrow, "Don't Dream It's Over" by Crowded House! Here's my song suggestion "Spandau Ballet - Gold"
A note: if anyone is unable to post here, please feel free to email me at the address listed on the home page, and I will be happy to manually add your suggestion to the list. One such suggestion comes from Dave Thome, who wants "Pop Goes The World" by Men Without Hats added to the fray. My daughter would be out like a light after one verse and a chorus or two of "House at Pooh Corner" by Kenny Loggins, so I second that song (but don't need to be entered into the contest, just happy to help). The song is so poemlike, and mostly spoken type singing, so it's easy to sing. My dad used to play it on his guitar, and it was our father/daughter dance song at my wedding. Y'know, I should zap you a complimentary Kindle copy just for offering a song out of parental camaraderie & pure altruism! I'm almost embarrassed to say that I actually don't know Loggins' 'Pooh Corner.' Know tons of other Loggins, but I think I have one more I need to learn, huh? Oh hope I'm not too late to enter! My suggestion is a song I used to sing to my little ones: Baby Baby by Amy Grant. Well it's an appropriate title in any case lol! Happy Manic Monday, Lullaby 2012 Competitors! The contest is now closed to entries, and we have a new frontrunner! It almost pains me to say this, but I am apparently great at channeling an inner Jack Wagner. "All I Need" got my son to sleep in 4m 12sec, and is now the tune to beat! Sorry, Wendy... But stick around, there may be a silver medal awarded! "Gold" saw me flailing lyrically, and after a few minutes, the song morphed into "True" by Spandau Ballet, which I knew WAY better... and ultimately it got the peanut down in just over 9 minutes. "Pop Goes the World" showed well as a slowed-down ballad, and was pretty fun to sing. While I will no doubt add it to the invaluable catalogue of workable lullabies, it came in at 5 mins 41 secs. "All I Need" by Jack Freakin' Wagner. Congratulations to Jen Tucker! I will contact you about getting your prize -- either a copy of my novel, or a back issue of Tiger Beat from 1984 -- delivered to you in one or more pieces! Finally made it back here to see the results. Oh well better luck next time. Congrats Jen!